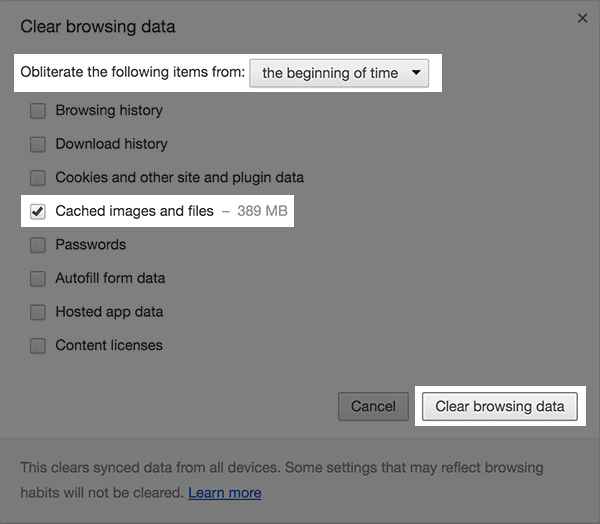 A cache is temporary storage for website data, which is used to improve your browsing experience. 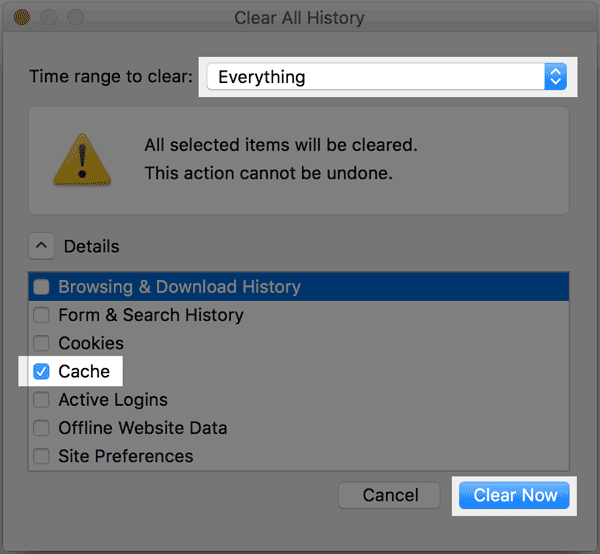 However, sometimes the cache can store outdated information, and needs to be cleared. 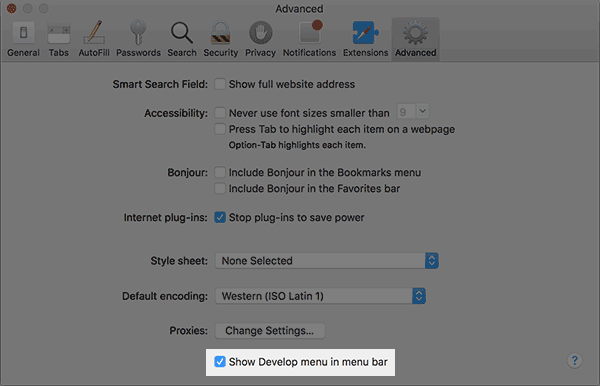 In most modern browsers you can access the menu to clear your browser cache by pressing Ctrl-Shift-Delete (or Option-Command-E for Safari users). 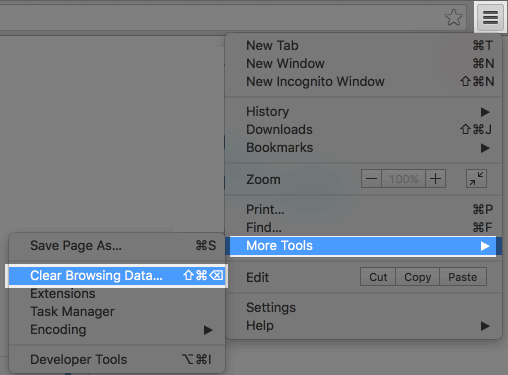 Choose More tools -> Clear browsing data. In the menu at the top select Beginning of time. 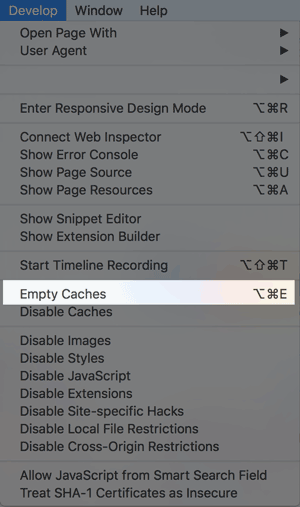 In the window that appears make sure Cache is the only option selected. 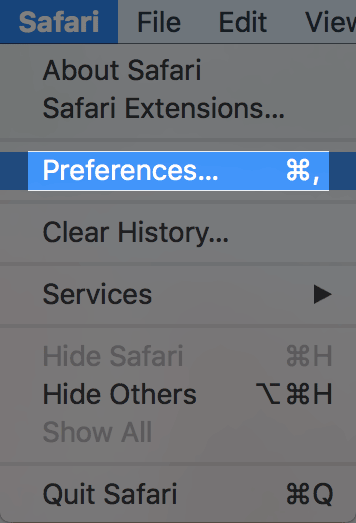 Click the settings icon in the top right corner. 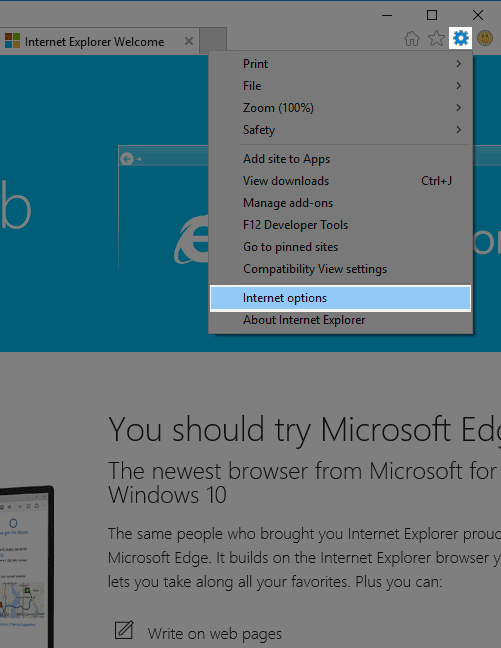 From the menu options choose Internet Options. 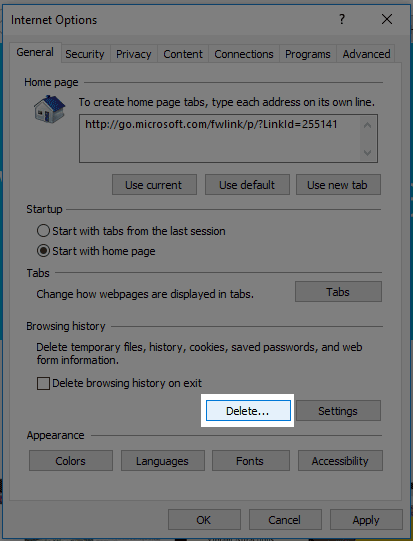 On the internet options page under the General tab choose Delete. 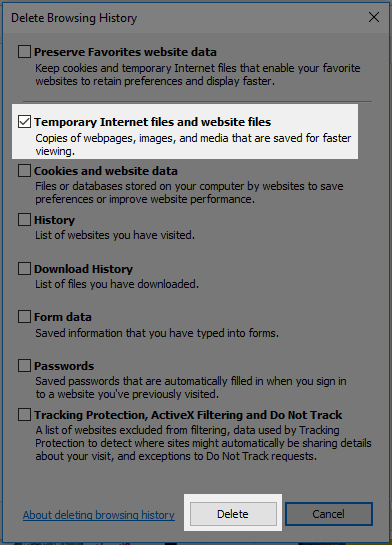 Make sure only "Temporary Internet files and website files" is selected. 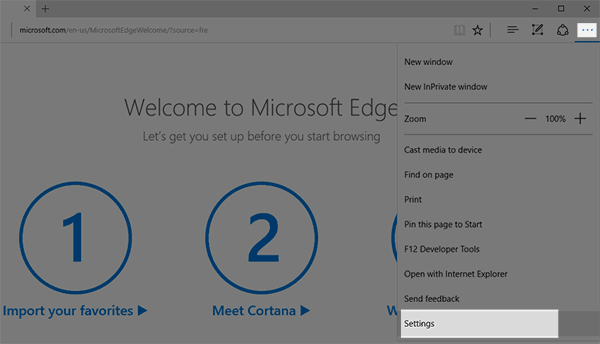 Open the Edge menu in the top right corner. 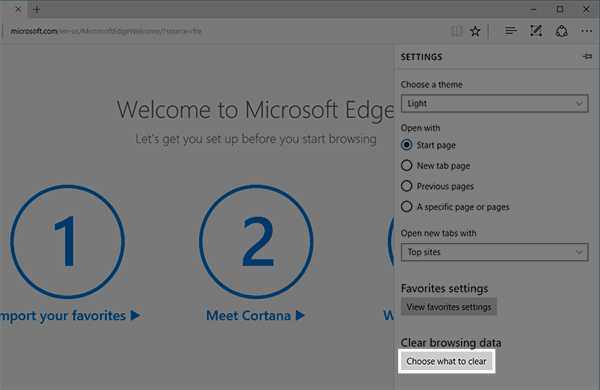 Click "Choose what to clear". 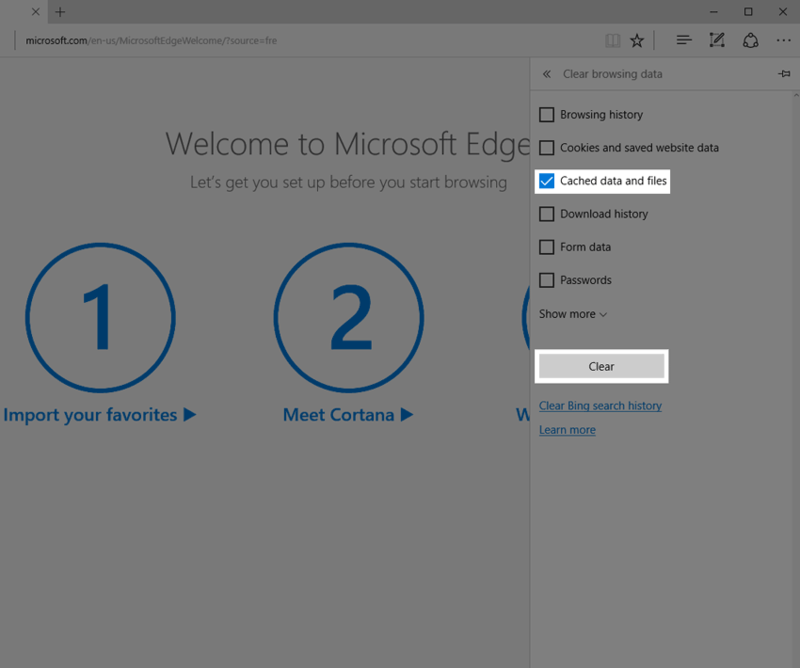 Make sure only "Cached data and files" is selected. In the preferences dialog select the Advanced tab. When prompted Are You Sure, click Empty. Click the Delete​ button to clear your cache. AOL currently uses customized versions of either Internet Explorer, or Firefox. In order to clear your cache please follow the instructions for the version that you have.